We all love something for nothing and the range of free web tools is amazing. Schools have ever decreasing budgets and we need to get as much value for money as possible but with free tools closing or moving to subscription models can you afford to integrate them into the curriculum? TechCrunch are reporting that Ning, the “build your own social network” company will no longer be hosting free Nings. This has been a cause for consternation amongst many educators who had invested time into creating their own social networks for students and classes. Is Joel justified in his “bushel of bad karma” or are Ning just protecting their business? There’s no such thing as a free lunch and we are increasingly finding this on the web. Web owners still have to pay the bills on their accounts, and whilst these bills are small initially when you are writing and launching an amazing web product, the bills grow pretty quickly as your free product takes off! wait it out to potentially get bought by a big company for a massive sum and make your fortune – even this is not a great option as the nature of the product changes! The situation we potentially find ourselves in is that amazing new products come online, grow quickly and close down in a short space of time. The problems this cause is lack of continuity in the curriculum for educators and students. Whilst the ICT savvy staff will take to new tools quickly, it takes time to get best use of a product for many teachers and to embed the tool into the curriculum. We can only do this so many times before staff will no longer want to invest their time in software and online tools. 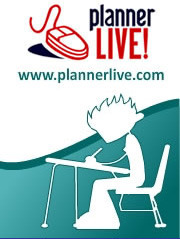 About three years ago I wrote an online homework system called plannerLIVE! which aims to support parents and students by creating an online homework diary/planner where students and parents could access homework, download worksheets, get links to useful sites to help with a homework and, most importantly, the date the homework is due in. It was a massive hit at my school, almost eliminated parental complaints re:homework and everybody said how easy it was to use. I thought I was on to a winner and started marketing it to schools but got little interest, although there were a couple of schools who were willing to pay. I changed this to a free model and although there were many more sign-ups, they weren’t using the tool the way I envisaged as a whole school reporting system. I think this was partly down to the fact that there is less value in a free product. I don’t believe that the last point has been true in the past (especially in secondary schools) although budgets are tightening so why are we so unwilling to invest in software?